Probably the most senseless book I've ever heard. Wasted 20 hours of nothing. Wish there were more! Loved all books in series. Excellent narrator!! I found this a pretty riveting mystery - heady but not a high action piece. Maybe that is what some reviewers miss? I listened over the course of a couple of weeks during runs and a book has to hold together to work in that context. Very importantly, the narrator is excellent He strikes the right balance of acting the book out without going so far as to take over. This could have been a great book, but instead it was extremely disappointing. Gosh this book was so boring. It's 20 hours and barely anything happens during the first 10 hours. I'm so disappointed I used a credit on this book because I heard it was an exciting mystery book. One big mystery went unsolved in this book which is frustrating and the other just dragged on so much. The narrator also talks a little quickly and it made it hard to pay attention to him since I was just bored listen anyways. I would skip this one. Overall, I really liked it BUT.......we never find out what happened to the kid strapped to the tree!! I needed more of the relationship between the two detectives. There was no closure. tana french does a superb job of developing her characters, brilliantly making them so human as to render me frustrated and annoyed at rob's ridiculous decision-making. other reviewers have written about their dissatisfaction with the ending. i think the ending merely highlights the genius that is ms french. she writes truth in the fiction, and it's so believable, we're as upset by unacceptable outcomes as we would be with the kinds of crazy heard on the news. i loved it, even though i had no resolution or relief from the ending, the narrator was a wee bit too expressive, making most of the characters' dialogue sound rather excitable, with nowhere to go. if he'd tone down the phrasing, it would be nice. 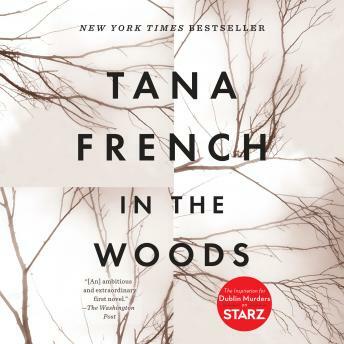 I really loved the way Tana French got into the characters' minds and relationships - it was unbelievable and I was enthralled from the beginning. I was disappointed in the ending, however, so only gave it 4 stars. I do recommend this as a good read though! I'm torn. I loved the characters, how they interact with one another, the relationship between the 2 dectectives was interesting to listen to. On the other hand I was disappointed with the ending and kind of felt like it was all a big waste of time. I love mysteries and I usually don't try to figure out who did it...I like to be surprised at the end. This is probably the only mystery I read where I had the murderer pegged almost from the beginning.